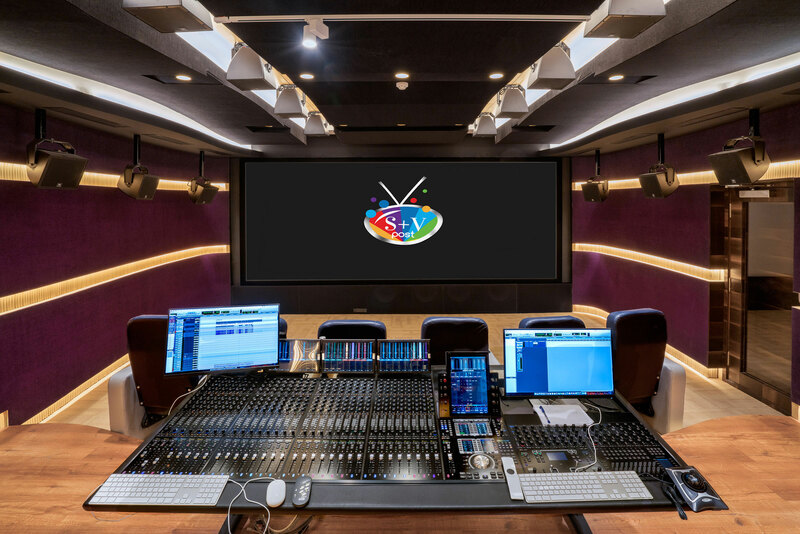 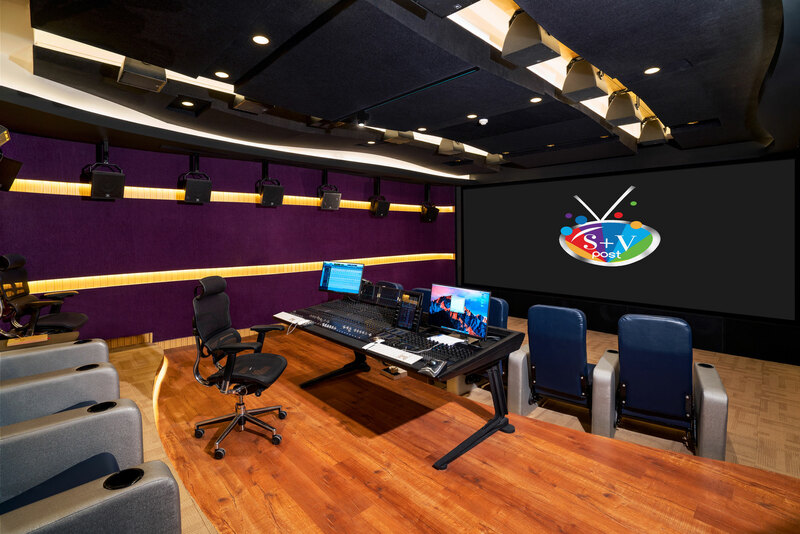 S+V Mumbai | Pilchner Schoustal International Inc.
S+V Post is a post-production studio developed to service film clients in Bollywood, located in the Andheri West area of Mumbai. 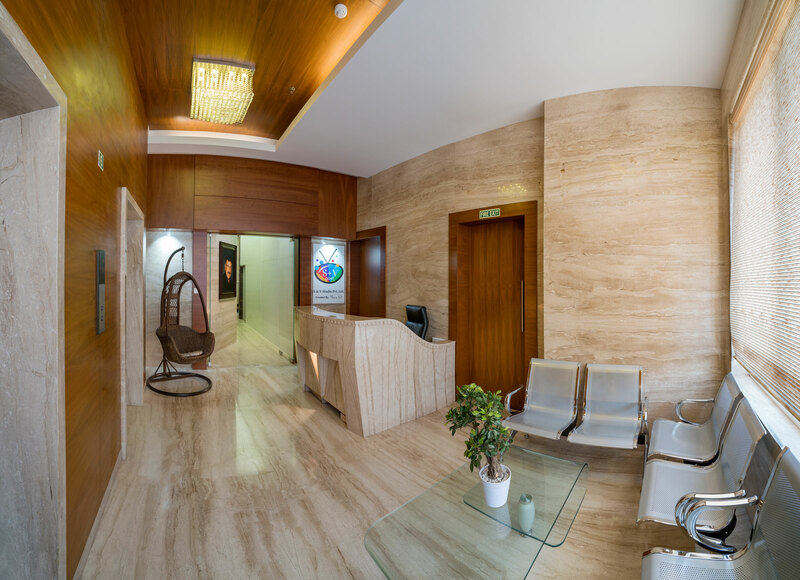 Design was provided by Pilchner Schoustal and implementation was carried out by Daman Sood. 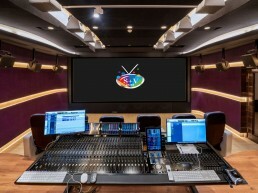 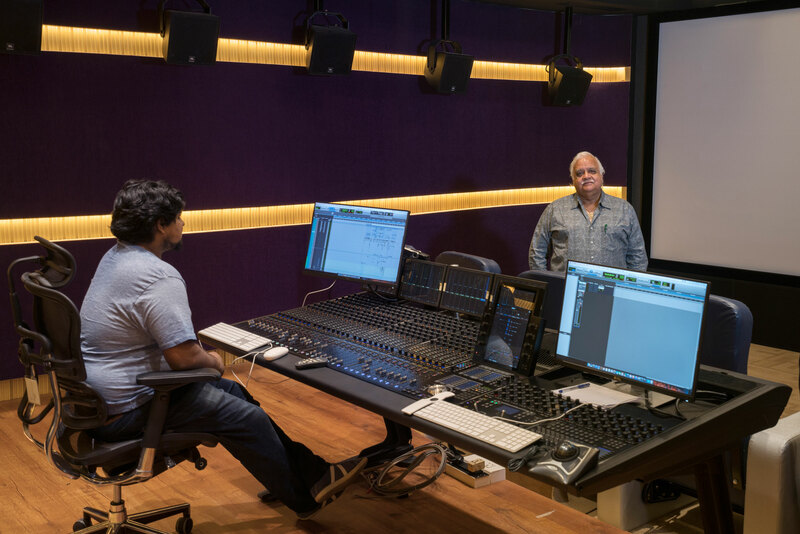 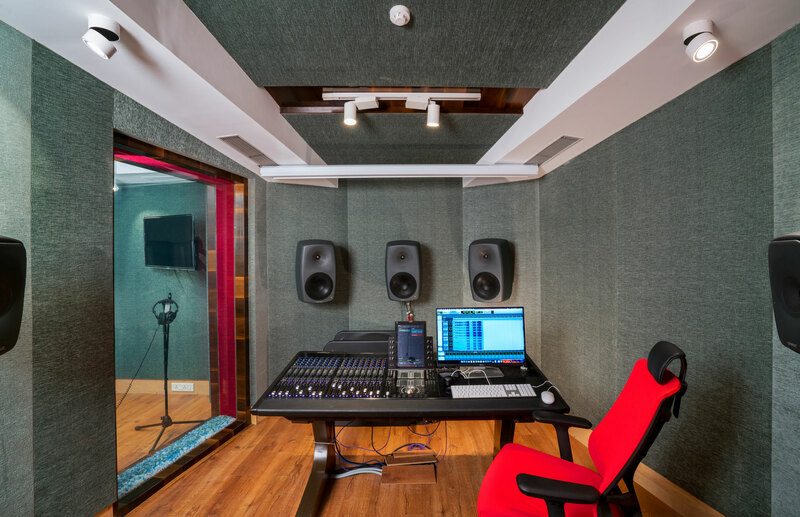 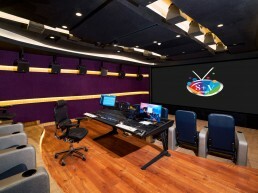 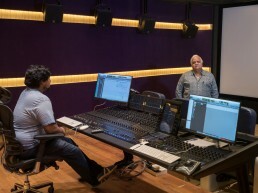 The facility features a Dolby Atmos dubbing theatre, as well as a 5.1 audio post room and ADR studio. 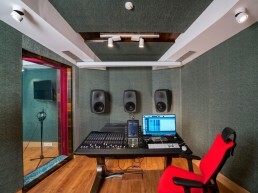 The main theatre incorporates JBL M1 speakers for the LCR channels and well as 28 JBL surround speakers and 4 sub-woofers.The acoustic design features undulating side walls and ceiling elements that incorporate specular absorbers as well as low frequency resonators to establish a uniform decay time and wide uniform listening conditions.